A sucker for cute boys and anything graham cracker flavored--New Jersey's Applegate Farms Homemade Ice Cream serves up something they call Graham Central Station that's just out-of-this world delicious--I loved the following two TV commercials. You know Mom didn't approve of sugar cereals, but as we got older, she lightened up. 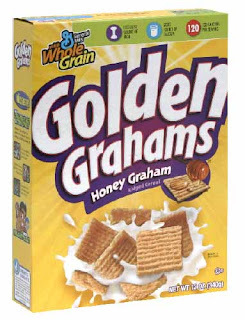 To this day, one of my favorites is Golden Grahams. Ironically, vintage Golden Grahams commercials are linked to many of my favorite teen idols. Here are two 1980s broadcast ads that stand out in my mind ... One features Growing Pains star Kirk Cameron and the other Jason Bateman. During the Leonardo DiCaprio Titanic craze, I was working as an editor at SuperTeen magazine. Desperate for a new Leo-related angle, I contacted General Mills' public relations department attempting to get my hands on a Golden Grahams commercial featuring Leo DiCaprio's step-brother, Adam Farrar. Leo once stated that his brother Adam's role in that commercial inspired him to act. To this day, I still can't identify his step-brother or that particular Golden Grahams commercial. Did I mention General Mills' PR had no idea what I was talking about. Anyway, enjoy Kirk and Jason--my 1980s loves as they push sugary deliciousness to unsuspecting kids in the '80s. Can you tell I had a thing for boys with golden brown mop-top hairstyles? 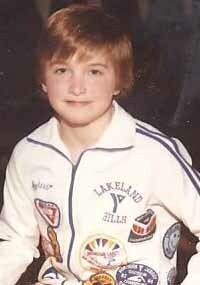 Funny check out this photo of my husband at age 10. I'd totally be into him if we were classmates. That's sad that I remember both of these commercials! LOL I also LOVED Kirk and Jason back in the day!! And Golden Grahams...YUMMY! I still buy those for the kiddos. Oh, Kirk Cameron. So much cuter when he was a few years older. I just read that my other favorite early 90s teen Mark-Paul Gosslear is getting divorced. My dreams of marrying Zach have been revived! I always have a hard time with your videos. They don't want to play for me. Like my Golden Grahams with no milk. Jason Bateman is still a hottie. Sorta. A young Michael Bluth in a commercial for one of my very favorite cereals ever. Proof that the world is still a good place. Monkies or colour tucan's were all cereal companies needed to sell their sugary goodness to me. They didn't need all this fancy stuff. I didn't know that they were in these. Thanks for posting them. I love watching old commercials. I don't know why they ever changed the packaging. I like that old design better. I had a huge crush on Kick Cameron, UNTIL Leonardo DiCaprio (aka Luke) joined the show...wonder if I can find the old episodes on youtube? MMM...Golden Grahams. 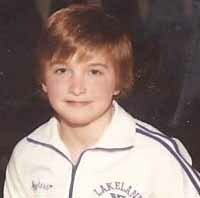 MMMM-er Jason Bateman. I would still totally drop trou for him. Golden Grahams with melted chocolate and marshmellow ala Rice Crispy treats. Much better than with just milk! I sat there with a huge smile on my face during both of these commercials. Classic! It's as though everyone is on speed! Even Mommy! Golden Grahams AND Jason Bateman! I'm swooning!!! I loved starting my day with Golden Grahams..pure sugar. Happy Friday and weekend, Ally. Haha, you worked at SuperTeen? That is too cool! What a fun/funny job! Memories..however in the kirk one...Who the hell washes their car before breakfast? i don't remember when these guys came out but i'll tell ya what, they are FRICKIN DELICIOUS!!! This makes me want to run out and buy a box right now. Even though they get soggy in about 5 seconds. I had the BIGGEST crush on Kirk Cameron when I was younger! I think I even vaguely remember that commercial! Commercials in the 80's were the best. The 90s was THE decade for cereal! First of all the hairstyles. Second of all, the clothes! But man, those boys do still look pretty good, even if they were just younguns' back then. How have I not been following your blog before, you're hilarious Ally! GG was one of my first loves as well. Felt like they really held true to that whole "stay crunchy in milk" promise. I love your blog, so much cool info and trivia,, I love astonishing people with it. Thanks for making me look awesome. Golden grahams were bust eaten dry, as a snack...YUM! Ok.... Take a look at the Kirk Cameron commercial again.... Look at the blond kid.... Is that Willy Zabka? Leader of the Cobra Kai?